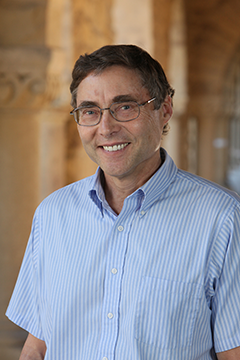 PUEBLO - Colorado State University-Pueblo will host its first ever Nobel Prize winner next month when physicist Carl Wieman visits campus to present a scientific approach to teaching as part of a speaker series sponsored by the CSU-Pueblo Center for Teaching and Learning (CTL). A 2001 Nobel Prize winner in physics, Wieman will lead a closed workshop for faculty from 12:30-2 p.m. on September 15 and an open lecture, "Taking a scientific approach to teaching science (and most other subjects)," from 5:30-7 p.m. in Hasan School of Business 101. Wieman holds a joint appointment as professor of physics and of the Graduate School of Education at Stanford University. He has done extensive experimental research in both atomic physics and science education at the university level. According to Dr. Donna Souder Hodge, the executive director of the Center for Teaching and Learning, "We're committed to providing quality professional development opportunities for our faculty, staff, and students, and I can't imagine a better way to start the semester than with a Nobel Prize winning scientist." Future CTL speakers include the nation's first Chicano Poet Laureate Juan Flipe Herrera on Nov. 1 and 2002 National Teacher of the Year and Distinguished Professor of Policy and Leadership at the University of the Pacific Chauncey Veatch on April 7, 2017. Wieman notes that science has advanced rapidly in the past 500 years guided by experimental tests of theory and practice, but science education meanwhile has remained largely medieval, guided primarily by tradition and dogma. Research on how people learn is now revealing much more effective ways to teach and evaluate learning than what is in use in the traditional science class. It makes much more use in the classroom of the instructor's expertise, and it also shows students how to learn most effectively. He said the research is setting the stage for a new approach to teaching and learning that can provide the relevant and effective science education for all students that is needed for the 21st century. In his public address, Wieman will cover more meaningful and effective ways to measure the quality of teaching. Although the focus of the talk is on undergraduate science and engineering teaching, where the data is the most compelling, the underlying principles come from studies of the general development of expertise and apply widely. Wieman served as founding chair of the Board of Science Education of the National Academy of Sciences and was the founder of PhET, which provides online interactive simulations that are used 100 million times per year to learn science. He directed the science education initiatives at the Universities of Colorado and British Columbia which carried out large scale change in teaching methods across university science departments. He served as associate director for science in the Office of Science and Technology Policy in the White House in 2010-12. Wieman has received numerous awards recognizing his work in atomic physics, including the Nobel Prize in physics in 2001 for the first creation of a Bose-Einstein condensate. He also has studied student learning and problem solving and the comparative effectiveness of different methods for teaching science. The education work has been recognized with a number of awards including the Carnegie Foundation University Professor of the Year in 2004, the Oersted Medal for physics education, and a lifetime achievement award from the National Science Teachers Association.